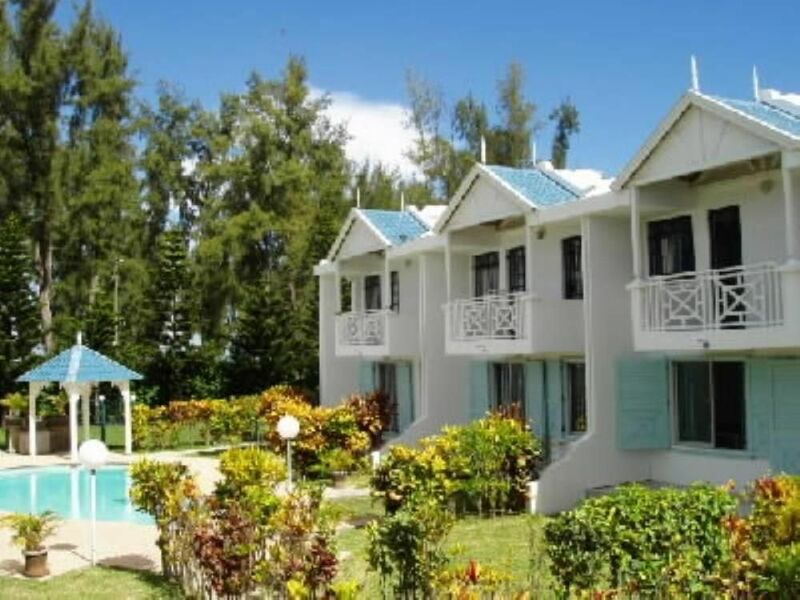 The Casa Marina Bungalows are situated on the most spectacular beach of Flic En Flac on the west coast of Mauritius. Flic En Flac is a highly concentrated touristic village where a lot of activities can be enjoyed. Touristshops,duty-fee shop,restaurants,pubs,casino,discotheque and five stars hotels are situated about 100 meters from the Bungalow. Take an evening stroll along the beachfront. Sip champagne as the balmy night and stars embrace you with the magic of tropics. Enjoy the sound of the rolling waves while sleeping at night. This is paradise personified.This is what our Bungalow offers. My friends and I stayed here in Bernard's lovely little house for 2 months over January and February. The location is perfect in that it is just across the road from the beach, it is near enough to walk to the many restaurants and bars along the beach road, but far enough away so as not to be disturbed by any noise, and being half way down the island, within easy reach of the many island attractions either to the north or the south. Noelette came in every day except Sunday to clean up after us and sometimes, she cooked us dinner. We all thoroughly enjoyed our time here, and would recommend it to everyone. Thank you Bernard. Jane, Jules and John were lovely guests and it was a great pleasure to welcome them at the bungalow in Flic En Flac. They are charming and friendly people and I strongly recommend them for any future holidays. Thanks to all of you. "The cottage was very clean and comfortable, with airconditioning in all the bedrooms and a lovely swimming pool outside near the patio. It was located within a comfortable walking distance of the beach, as well as many restaurants and shops. The beaches are lovely, but on public holidays it gets very busy. All in all we had a wonderfull stay, and would recommend it to any of our friends and family." Stayed a week in Flick en Flack. This accomedation is highly rekomended by us. Mr Bernhard gave us usefoul information and the maid Noelette gave perfect service. "Bungalow is in a very quiet location between Flic and Flac center (with all restaurants and shops) and Walmar, where are all hotels and most factory stores located. It is just across the street from the beautiful beach. It is oriented to the west so that you can get the best view of gorgeous sunsets here. If you forget to take your camera to the beach it is so close that you can be back within a minute to take great pictures. Flic and Flac is in a good location to explore the island. The car is not necessary here but if you rent it (and it isn't expensive) it is the best option to taste real Mauritius and visit north, east coast and colored earth Chamarel and Le Morne on the south. If you go shopping groceries, the best is supermarket Spar in the center of Flic a Flac. You can use either taxi or bus (bus stop is very close to bungalow and buses are very cheap). ATM is just next to Spar (we couldn't find it first time :-) There was also a little chinese restaurant just one block to the centre direction where you could get takeaway if you don't want cook dinner or feel tired to go to the center to some nice restaurant. Bungalow is a very good place to stay. It is spacious enough and that location across the beach is so cool. Bernard - the owner - is a very helpful in all things you might need. We called him every time we needed something or to just ask him for advice. When a cyclone was coming he even came himself to bring us radio and extra flashlight and to tell us what to do. Also the maid Noelette is a very nice lady - you had to speak french to her. If we needed something extra, we called Bernard and he explained it to her. She can iron or cook for only extra little money. You can easily snorkel, but it is recommended to wear shoes because of corral pieces which are everywhere on Mauritius. Flic and Flac has a very stable weather too. We can recommend this place and when we go back, we will come here." Zentral im Westen in Flic en Flac. Ideal für Ausflüge insbesondere in den Süden und Osten (Nationalpark, Grand Bassin etc.). Gute Einkaufsmöglichkeiten in der Nähe (Spar). Bei Vorhandensein eines Mietwagens auch Cascavelle (Monoprix: grössere Auswahl). In der Unterkunft ist alles vorhanden was gebraucht wird. Die sehr nette Haushälterin Noelette kam jeden Tag vormittags (ausser sonntags) und hat das Haus aufgeräumt (inklusive Spülen des Geschirrs). Sie kocht auch nach Wunsch ein sehr leckeres original mauritianisch-creolisches Essen mit Hauptgang, Salat und Dessert (ca. 1700 Rupien). Alles nicht aufdringlich. Nur auf Wunsch werden entprechende Zusatzleistungen angeboten. Auch Bernard der Vermieter hatte uns am Ankunftstag ausführliche Einweisungen und Tipps gegeben. Als Resümee können wir (Familie , 3 Personen) nur sagen, dass es sich um ein unschlagbares Preis-Leistungsverhältnis handelt. Ca. 100 m vom Meer, dennoch ruhig (Strasse ist zwar 50 m entfernt aber wenig befahren). Grosszügiger Wohnraum, Garten, Pool. Am schönen Strand entlang zu den 5Sterne-Hotels (nach links, Richtung Süden) um mal einen Cocktail zu geniessen. Mauritius pur. It was very nice to meet Rolf and family during their stay at Flic-En-Flac. (Text automatically translated) Offerors restaurants Mauritian cuisine, Chinese and EUROPEAN as well as major hotels such as Pirogue, Sugar Beach Resort and Hilton are just minutes away. A mall is located has less 100m.Un casino is also found in the mall.